Product #17999 | SKU LP35186-PWW | 0.0 (no ratings yet) Thanks for your rating! 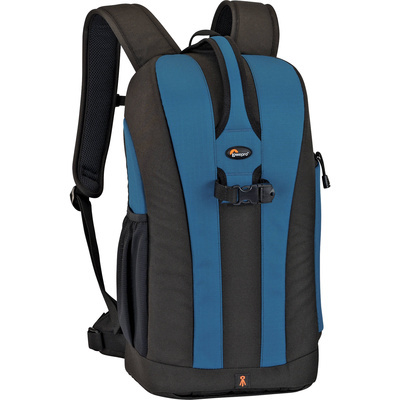 The Lowepro Flipside 300 Backpack (Arctic Blue/Black) is a tough, 600 denier water-resistant, polyester backpack that protects digital photo equipment against moisture and abrasion. The back compartment entry gives safe, easy access to camera gear, plus extra security. The outer storage pocket holds digital accessories and personal items, and the removable accessory pouch holds cables, chargers, manuals and other key accessories. It is carried by a backpack harness with a detachable waist belt. There is an adjustable sternum strap for comfort.